French researcher & explorer, graduated from the Universities of Tours and Toulouse-France (Curriculum Vitae in Spanish and degrees in French). Fascinated by the Inca civilization, he devoted his research, for fifteen years, to the study of the permanent presence of the Incas in the Amazonian forest. After many expeditions in the Peruvian Amazonian forests, he might now be closed from his ultimate goal: the «fantastic» lost city of Paititi. 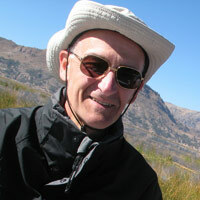 Thierry Jamin, President of the Inkari Institute of Cusco, is also the Executive Director of the project «Machu Picchu 2012». Spanish archaeologist specialized in the study of archeological sites in funerary context at the University Complutense of Madrid. 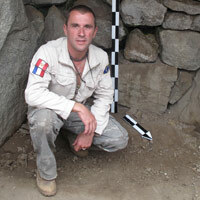 Daniel Merino has participated in sveral research projects in Mexico, Belize, Guatemala and Peru, including the site of Chan Chan. 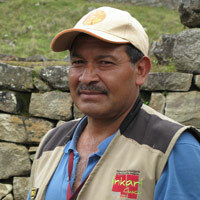 Vice-president of the Inkari Institute of Cusco, José is retired from the National Police of Peru for a couple years now. He fought for fifteen years against the Shining Path and belonged to a rescue unit in the high mountains of Cusco. 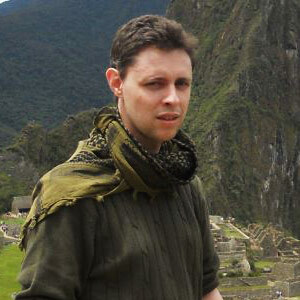 Since 2009, he is the right hand of Thierry Jamin, the Coordinator & Head of Security and Logistics of the “Machu Picchu 2012″ Project. French engineer based in Barcelona, David Crespy is the source of this incredible story. As possessed by the urge of knowing the answers behind the mystery of this mysterious “door”, he funded the entire first phase of this project and participated with the Inkari group to the ground penetrating radar survey in April 2012. Quite a character! 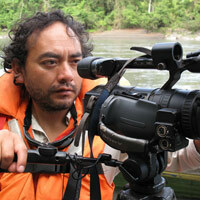 Manager of the TV production company Neviza in Cusco , Edward is the official cameraman of Thierry Jamin’s team since 2009. A really all-terrain man and a great professional ! 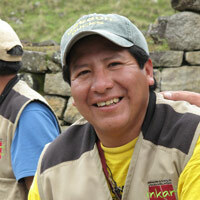 He is the public relations manager of the Inkari Institute of Cusco and covered all stages of the “Machu Picchu 2012″ Operation. Alain is the manager of the communication agency Prodiris (www.prodiris.fr) and audiovisual production company Jungle Doc Productions (www.jungledoc.com), that he manages with Thierry Jamin. 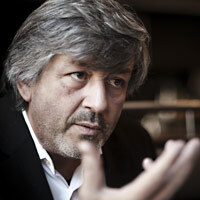 Since 2003, he is in charge of Thierry Jamin’s public relations (websites, blogs, newsletters, Social Media, etc.). 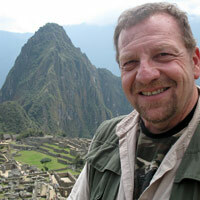 In 2011, it is in Cusco, Peru, that Benoit met with Thierry Jamin for the first time. He explained him how this serial web entrepreneur, married to a Peruvian-American citizen, passionated about the Inca civilization, has put together a true startup organization dedicated to historical and archaeological research. Using drone technology and ancient texts, he manages his own expeditions, investigating lost Inca and Pre-Inca ruins and the Conquest of Quito. He helps Thierry and his team with their Web projects and their communication while he also contributes to promote our work to our English-speaking audience. Mayor of the French town of Paulhac, Ambassador of the Region of Midi-Pyrénées at the European Parliament. 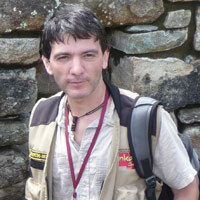 Didier Cujives is also the President of the NGO Inkari Europe, a Toulouse-based organization dedicated to support Thierry Jamin’s research in Peru. Treasurer of the NGO Inkari Europe and a very active support of Thierry Jamin’s research.